Orlando City are currently at the bottom of the Eastern Conference table while Philadelphia is close to the top. 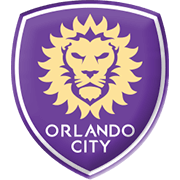 Still, there is one interesting fact and that is that Orlando have scored more goals this season than Philadelphia. But they’ve also allowed 20 goals more than them. If you look at their last few matches head to head, the two sides are pretty evenly matched. Cory Burke has been the top scorer for the Union this season but with only seven goals to his name he is pretty inconsistent. Philadelphia needs to score more goals in order to mount a more serious challenge towards the top of the table. On the other hand, Orlando have Dom Dwyer who has scored 11 goals so far, but isn’t getting much help from other players. Philadelphia also has better form coming into this game and will surely make easy pickings out of the struggling Orlando team. 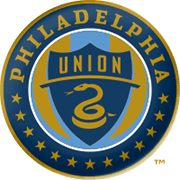 Based in Chester, Pennsylvania, Philadelphia Union is an American soccer club that compete in Major League Soccer. 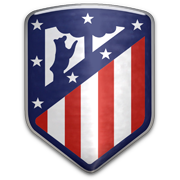 The U have been participating in MLS since 2010, but they have yet to win the domestic trophy. Philadelphia welcome their opponents at Talen Energy Stadium, the venue that was opened on June 27, 2010 and current capacity of the stadium is 18.500. The U made it to the Lamar Hunt U.S. Open Cup final on two occasions (2014, 2015), but they were beaten by Seattle Sounders and Sporting Kansas City respectively in the title games. The likes of D.C. United and New York Red Bulls are regarded as the club’s fiercest rivals, but they share a rivalry with Seattle Sounders as well. Philadelphia’s colors are navy blue and gold, but they wear white shirts and white socks when playing on the road. USA international Freddy Adu is one of the most notable footballers who player for the U in the past. The former Benfica man scored seven goals in 37 appearances for Philadelphia Union in MLS.